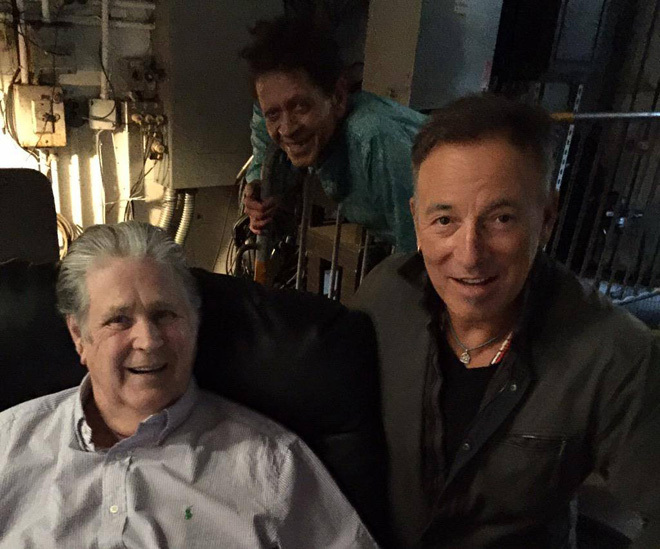 Bruce joined Brian Wilson on stage for surprise performances of "Barbara Ann" and "Surfin USA" last night in New Jersey. Here they are backstage with Blondie Chaplin before the show. 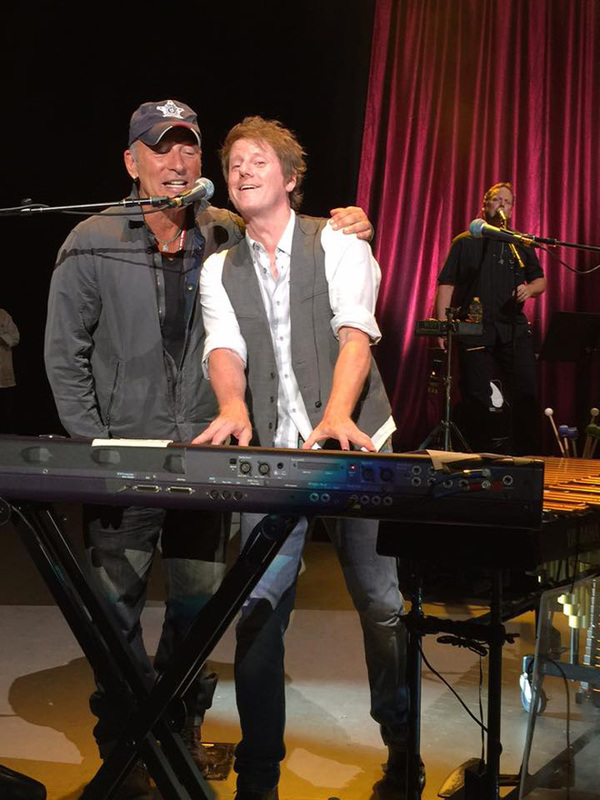 Bruce and Scott singing "Barbara Ann" last night in New Jersey.